Aziz Ansari is one of the most well-known comedians in the world. In 2015, the stand-up sold out two nights at New York City’s Madison Square Garden, becoming one of only a handful of comedians to sell out the world-famous arena. The shows were filmed for his fourth comedy special, Aziz Ansari: Live at Madison Square Garden. 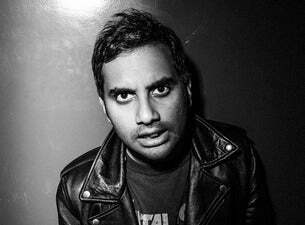 Many will know Aziz for his performance on the hit television show Parks and Recreation. Co-starring alongside actors such as Amy Poehler, Chris Pratt and Nick Offerman, Aziz won plaudits for his role of government employee Tom Haverford. Aziz is also well known as the co-creator, star, writer and director of the hit Netflix original show Master of None. The comedy sees Aziz star as Dev Shah, a 30-something aspiring actor making his way through New York’s dating scene. The show has received rave reviews and earned Aziz two Emmy Awards as well as a Golden Globe Award. In 2015, the comedian released his first book, Modern Romance, which focusses on modern dating, using Aziz’s unique and hilarious outlook. The book debuted at No.2 on the New York Times bestseller list. Aziz will be returning to the UK for a short run of live tour dates in April 2019 with his Road to Nowhere tour.